What Exactly is TMJ? | What Can Cause TMJ? Ear Pain, Ringing, and Congestion: Diagnosis and Treatment of Orofacial Pain Conditions the Affect the Ears. TMJ Muscle Pain: Myofascial Pain, Muscle Spasm and Muscle Splinting All Cause Pain! What is Sleep Apnea? Does Your Loved One Snore, Stop Breathing and Gasp for Breath? Are you suffering from jaw pain or migraines? It may be more serious than a little lock jaw or a slight bump to the head. If you’re experience jaw pain or continuous migraines, read on to find out what may be causing these symptoms or stop by our office to talk with us about your pain. So, What Exactly is TMJ? TMJ, short for Temporomandibular Joint, is more commonly known as the joint in your jaw. TMJ is also commonly referred to as temporomandibular disorder, in reference to the pain and dysfunction it can cause. These two joints allow you to chew food, speak, sing, laugh, and talk with your friends, pain-free. So what happens when these joints don’t work as smoothly and continuously as they should? When your joints don’t work as well as they should, it may be a case of TMJ. TMJ can be serious if not treated correctly. Often, TMJ can easily be mistaken for a migraine, an eye infection, or a sinus headache. TMJ can be caused by a number of factors, some that are preventable, and unfortunately some that are not. TMJ treatment varies from patient to patient. There are many different solutions that we can adjust to meet your specific case. When our team at Think Better Life determines what your exact diagnosis is, we will start prescribing you one of three phases of treatment. The first phase is to get your life back to normal. This phase typically involves non-surgical treatments such as physical therapy, chiropractics, and orthotics. Our second phase revolves around getting your life as painless as possible in the long term. This phrase may include procedures like coronoplasty and occlusal equilibration. In some cases, we can reduce your pain in the long run by using orthodontics to create a healthier smile. Our third phase, which most patients do not need, is joint surgery. This is a very rare occurrence, as most cases can be taken care of with the help of our first two steps! 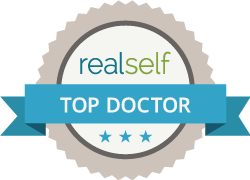 We want you to live your best life possible, free from the pain or discomfort of TMJ. If you would like to find out more about TMJ, or if you think TMJ may be causing your pain or discomfort, take our TMJ questionnaire online or swing by our office for a consultation. Is There A Specialty of Neuromuscular Dentistry? What Exactly is Neuromuscular Dentistry? What is Dental Sleep Medicine and How are They Connected? Idiopathic Pain Relief: When Doctors Do Not Know The Cause of Your Pain How Do You Find Relief? The Sphenopalatine Ganglion Block for Relief of Facial Pain from the Nasal Mucosa. Dr Shapira Awarded Diplomate Status with American Board of Sleep and Breathing. Currently in Boston Learning Advance Pain Management at Harvard Medical School. Dental Sleep Medicine: Comfortable CPAP Alternatives for Sleep Apnea: Sleep Apnea Treatment Testimonials. Suicide Headache Relief: Cluster Headaches are called Suicide Headaches Due To Severity. Relief of Cluster Headaches is Available! Blue Cross Blue Shield Eliminates Coverage for Sphenopalatine Ganglion Blocks. PREVENTING ONSET OF DEMENTIA: Sleep Changes and New Incidence of Dementia: Why Snoring and mild apnea should be treated. What Is The Best Over The Counter TMJ Appliance? The Aqualizer Is An Inexpensive Neuromuscular Approach To TMJ Disorders. Pain Is Destroying My Life! Pain Solutions Restore Your Quality Of Life. Childhood and Adolescent Headaches: Physicians often miss the easy diagnosis. Developmental issues need to be addressed at an early age. The Aqualizer Appliance as Short Term Diagnostic Tool. Anxiety and TMJ Disorders: Neuromuscular Dentistry Addresses both issues. Chicago Head and Neck Pain. Chronic Pain Answers in Chicago. Do You Think Your Headaches & Migraines Are Just From Stress? Pain free First Time in 5 Years! Why Do Jaw Problems and Headaches Get Worse During The Holiday Season? Do You Hate CPAP? Check Out the Alternative! Treating Sleep Disorders at the Dentist – Myth or Reality? Myofunctional Therapy to Treat Obstructive Sleep Apnea: A Systematic Review and Meta-analysis. Headaches at back of head feel like blood vessels are swelling up. What to do with bite changes from SomnoDent Appliance from Somnomed? TMJ orgins: “HYPERALGESIA” is induced by experimental occlusal interference. Migraine and Chronic Fatigue Syndrome Are More Prevalent in People with Myofascial Temporomandibular Disorders. Oral Appliance Therapy for Sleep Apnea Changes Life! Chicago:American Academy of Dental Sleep Medicine. Self Administration of SPG Blocks by Patients. Sphenopalatine Ganglion and Trigeminal Neuropathy: SPG BLocks For Severe Migraines and other Chronic Pain. Chicago Cluster Headache: Treatment and Prevention: Are Sphenopalatine Ganglion Blocks The Answer? Pain Management in Chicago: The best approach is pain elimination be correcting physilogical causes of pain. Why patients are forced to live with severe headaches. The Most Important Migraine Trigger: What Your Neurologist Never Told You. Could Chicago dental treatment resolve back pain? Chicago: ADD & ADHD Prevention and Treatment: Sleep Disordered Breathing in Young Children Is a Primary Cause of ADD, ADHD and Bed-Wetting. Bedwetting Prevention in Chicago: Bedwetting is often an symptom of a dangerous condition that can be easily addressed in children as young as two. 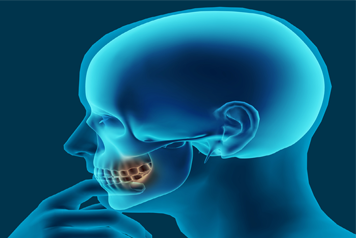 3 problems with a Chicago "bad bite"
Oral Appliance Therapy in Treating Sleep Apnea in an Asian Population. When You Need To Look Good Now! A Single Visit Can Transform Your Life! Treatment for Severe Migraines: Differential Diagnosis of Orofacial Pain and TMJ Disorders lead to resolution of symptoms. Migraines, Headache and Chronic Daily Headaches are TMJ Disorders: Orofacial Pain Differential Diagnosis. TMJ, Alias: the Great Imposter, has a Co-Conspirator: Poor Sleep: Orofacial Pain has Multiple Causes which require Differential Diagnosis. For effective TMJ and Sleep Disorder solutions. 3500 Western Ave Suite 101 | Highland Park, IL 60035 | Phone: (847) 533 8313.